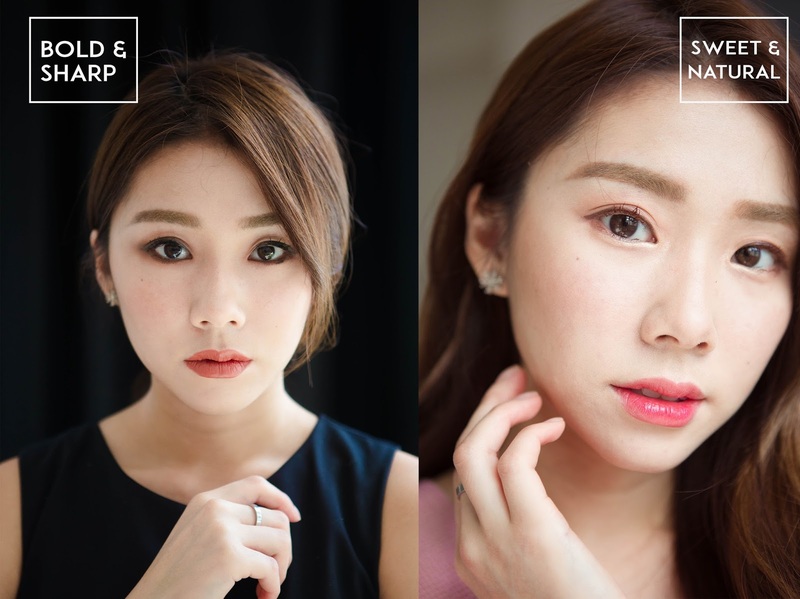 Can you believe that these 2 looks were created with the same products just in different colors? I was shocked at how versatile and how much difference can be made simply by just switching the colors of the mascara and eyeliner. 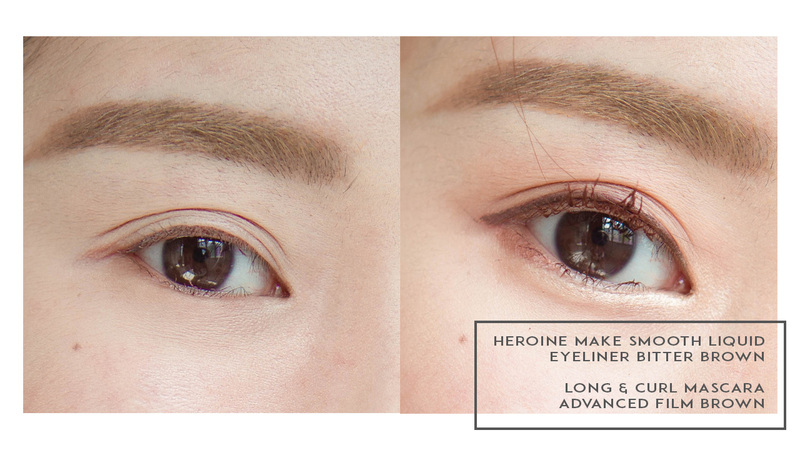 Today, I'll be introducing my FAVORITE brand for eyeliners and mascaras - Heroine Make! 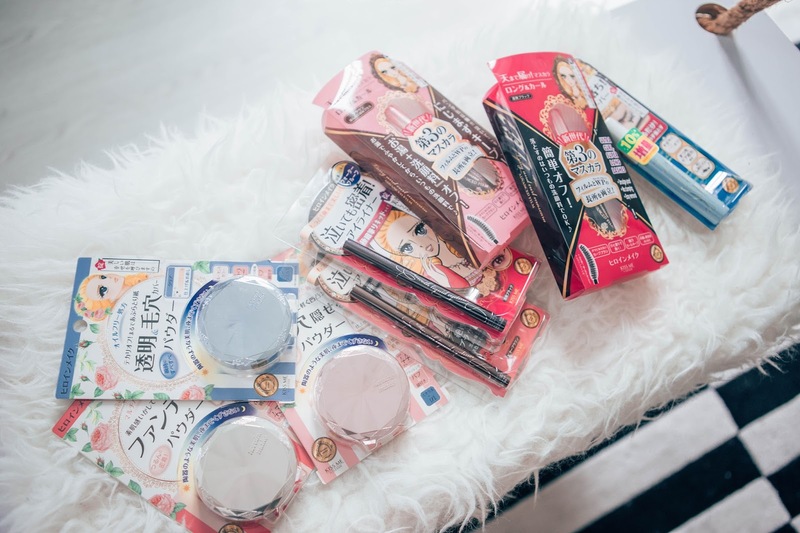 I've been a huge fan of this brand for almost a decade now, and I've purchased countless and countless of pieces and grown through all of the formulation improvements, change in packaging etc with the brand. If there was a beauty brand I can safely say I grew up with, it would be Heroine Make for sure! 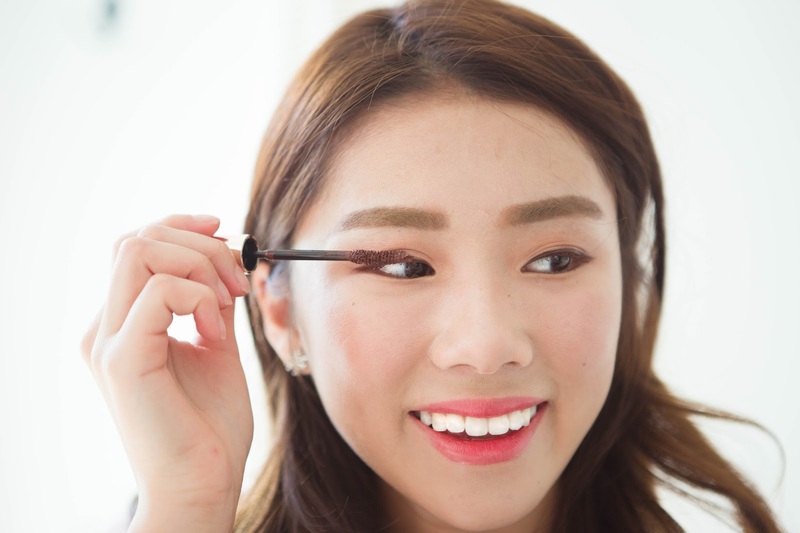 The first look - Natural & Sweet was created with 2 star products, Heroine Make Smooth Liquid Eyeliner and Long & Curl Advanced Film Mascara both in Brown. Brown makes the look so much softer and it helps to define and enhance my eye shape and lashes without being too harsh. 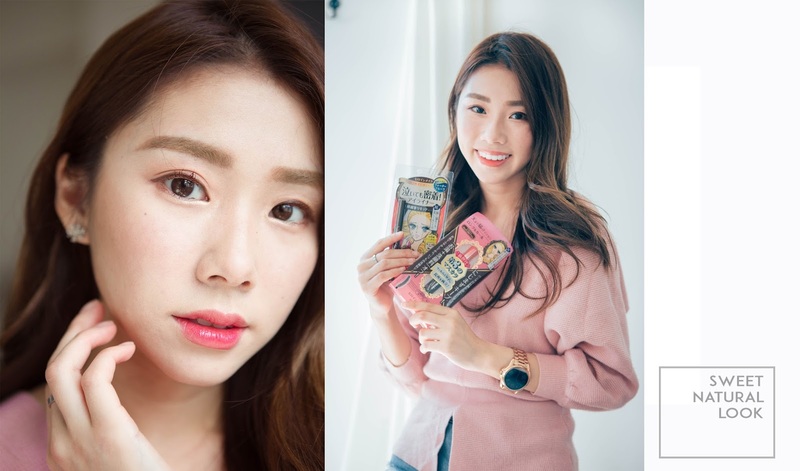 This technique of using brown eyeliner & mascara is perfect for that no-makeup makeup look, or for those days you want to look softer and sweeter. These eyeliners have lasted me through long hours in school, the gym, shoots, sweat, tears and more! If there's an eyeliner I would bring with me on a trip without thinking twice, it would be these. These mascaras were a later discovery than the eyeliners, but once I did, I never looked back. 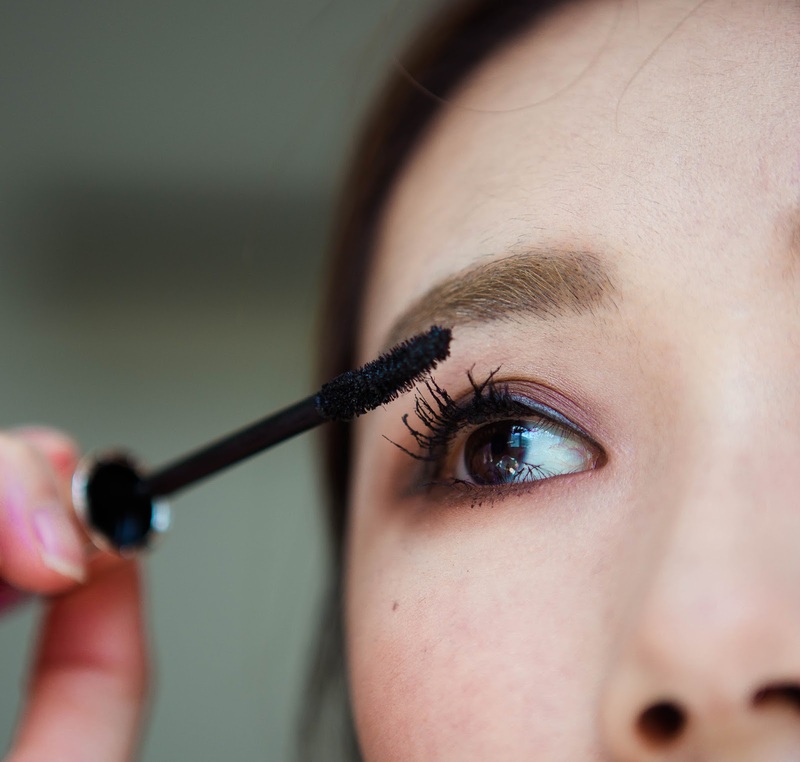 My lashes are thin, flimsy, short and pointed downwards. 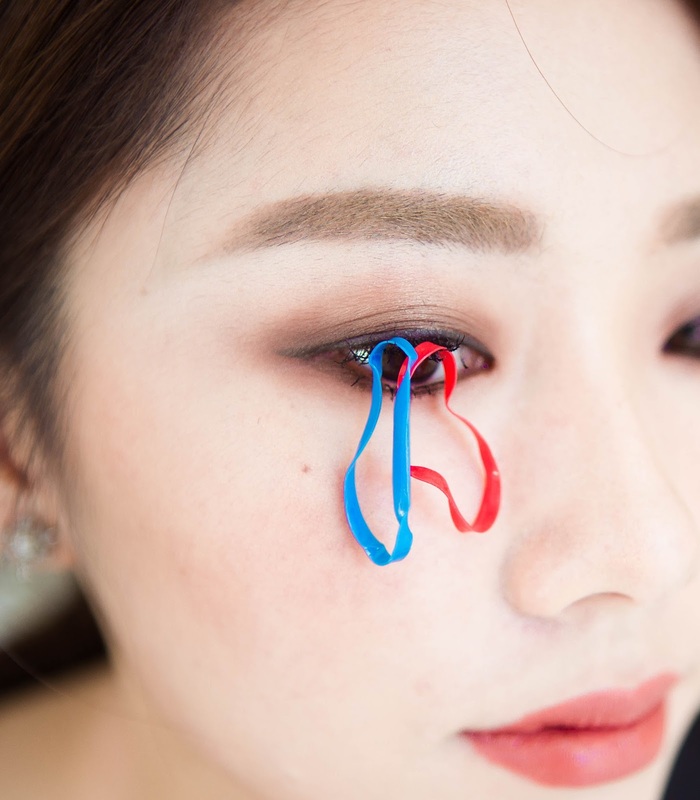 Asian girls with such lashes will get what I'm talking about, and how shopping for mascaras are usually a headache because nothing seems to give us the curl and holding power. But not until I tried this! Not only does it contain fibres in the formula that volumizes and lengthens like nothing else, it also keeps the curls and keep it staying up all day. Check out how they were even able to withstand the weight of the disposable rubber bands! 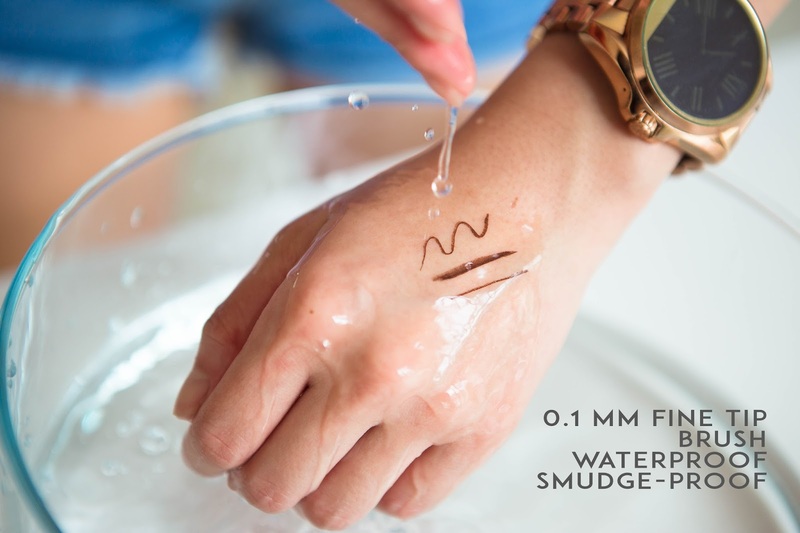 These are also incredibly waterproof and smudge-proof. Together with their eyeliners, this combo is bound to take you from day to night without a doubt! 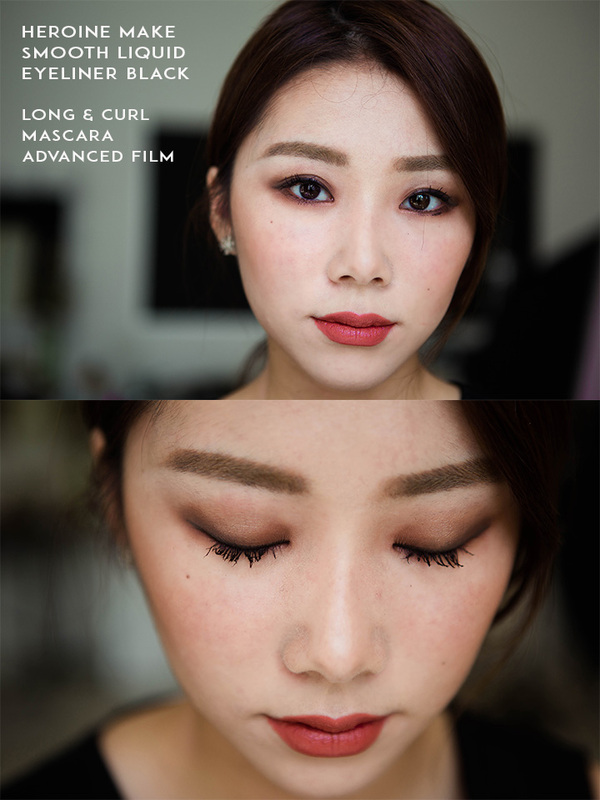 For this, I used the Heroine Make Smooth Liquid Eyeliner and Long & Curl Advanced Film Mascara, both in Black. I love how intense the black pigments are, giving my eyes that strong, edgy look. Immediately, my eyes exude so much more character and looks much sharper than before. Still in disbelief? Check out the before and after and be wow-ed like I did! I promise you I did not retouch the eyes at all, these were how my natural lashes looked after 2 coats of the mascara and I love the fan-ed out effect it gives. I hope you guys enjoyed these 2 looks I created and found it useful. 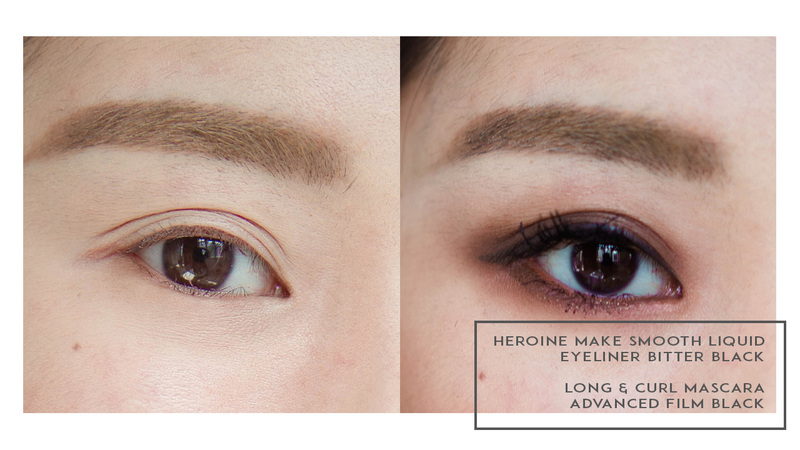 Give it a go and see how much difference brown and black eyeliner/mascaras can make, and don't forget to check out Heroine Make at !